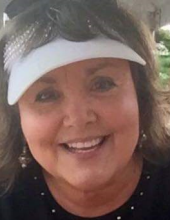 Debra Jo Rath, 63, of Springfield, died on Saturday, January 12, 2019 at her home. Visitation will be from 4-7 p.m., Sunday, January 20, 2019 at Gieseking Funeral Home, Altamont. Funeral services will be at 10:00 a.m., Monday, January 21, 2019 at the Church of Christ, 1311 S. 4th St., Effingham with Bill Clary officiating. Burial will follow at Union Cemetery, Altamont. Memorials may be made to the Whoo Hoo Sisterhood or the donor’s choice. A celebration of Life Service will be held at a later date in Springfield. Debra Jo was born on Wednesday, March 9, 1955 in Effingham, IL to Bruce E. and Mary Jo (Buzzard) Kessler. She was a member of Lakeside Church of Christ, Springfield. She retired from the Department of Professional Regulation with the State of Illinois. Debra was a member of the Women of the Outdoors and NRA and enjoyed working with stained glass, woodworking, baking, cooking, gardening, hunting, traveling, camping, Harley riding; an all-around adventurist. She was proud of her family and a devoted grandmother. She is survived by her parents, Bruce and Mary Jo Kessler of Altamont; sons, Aaron of Springfield and Andy Rath and his wife Jessica of Effingham; brother, Daniel Kessler of Altamont; sisters Julie Seales and her husband Bart of Altamont and Cindy Kessler of Fordville, ND; granddaughter, Arabella Rath; nieces and nephews, granddog, Jennings and her best bud Bogey. To send flowers or a remembrance gift to the family of Debra Jo Rath, please visit our Tribute Store. "Email Address" would like to share the life celebration of Debra Jo Rath. Click on the "link" to go to share a favorite memory or leave a condolence message for the family.